Shoulder Dolly - 310 Enterprises, Inc. 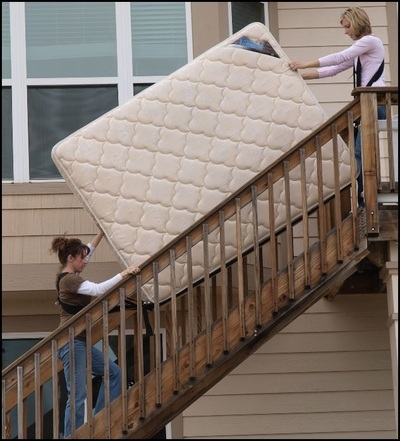 This is a revolutionary system for moving heavy and bulky objects by using leverage. 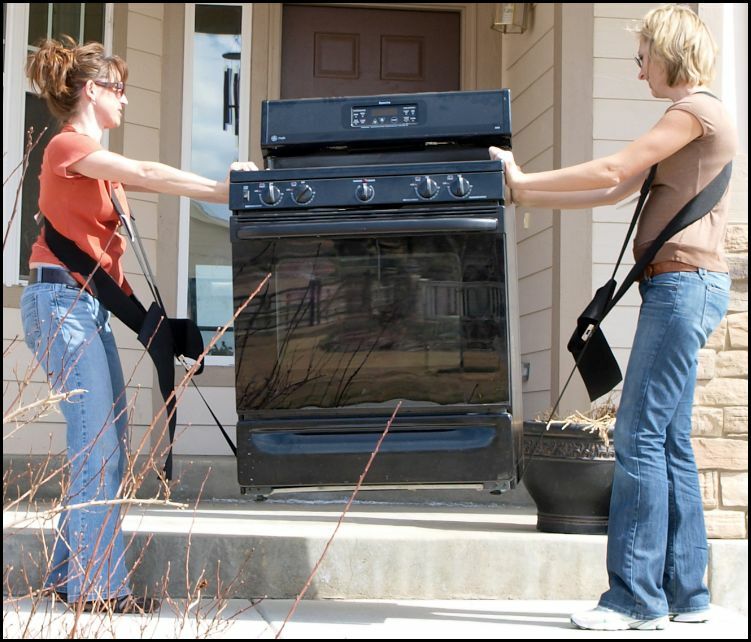 The Shoulder Dolly is a two person lifting system that allows movers to maintain an upright posture while lifting any object. By using the webbed harness over your shoulder muscles, and lifting with your legs, the mover will significantly decrease strain and risk of injury to the lower back, hands, biceps and forearms. 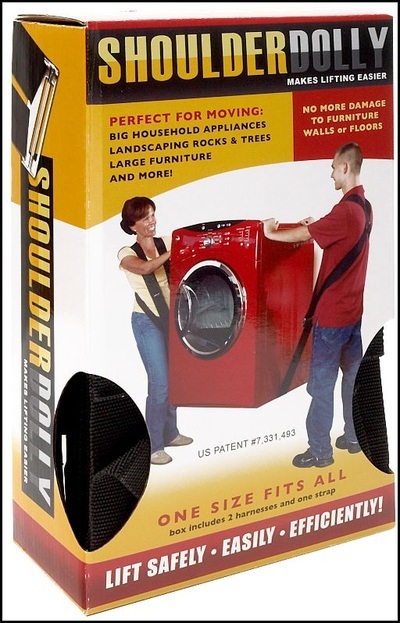 Free hands/arms: The Shoulder Dolly recognized the need for your arms to be unconstrained. The need for stabilization, opening doors, and overall balance is all attained with the Shoulder Dolly. Improper lifting techniques are responsible for a large percentage of back injuries. Techniques that keep you safer include using mechanical aids, keeping your back straight and using balance. Correct and easy lifting is done with leverage! The weight distribution of heavy objects should be on strong muscles – Shoulders and Legs! These are the two strongest muscle groups in your body. Let them take the brunt of your work – not your arms or your back. 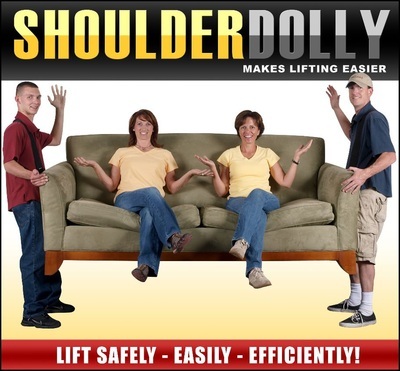 Both genders can use the Shoulder Dolly. 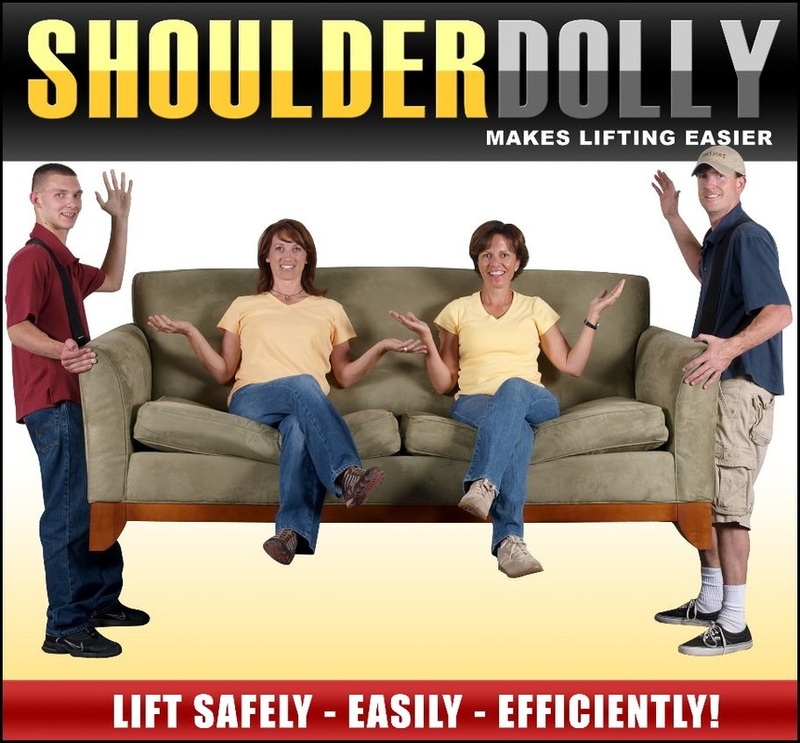 Women as well as men find the Shoulder Dolly easy to use due to relying on leg instead of arm strength. Conclusion: People can squat much more weight than they can lift with their arms.. By lifting with the shoulders and legs, moving is safer and easier. The Shoulder Dolly utilizes an adjustable tension buckle. These buckles allow for nearly unlimited increments of adjustment. The Shoulder Dolly uses one strap that is 12’ long by 5” wide. Due to the tension hardware system, this allows for complete adjustment to whatever object you are carrying. Differences in the height of movers are overcome due to the adjustability of the webbing through the buckle. Conclusion: With the increased adjustment capacity, the Shoulder Dolly will lift a broader range of objects and work in more situations. The Shoulder Dolly uses a one strap design to allow for exact placement of the lifting strap. The center of gravity for many objects is not always in the center of objects. For off centered objects, the Shoulder Dolly gives you the latitude to place the webbing properly. You are able to adjust with the product, rather than using the strength of your body to counterbalance the load. Setup: The one strap with the Shoulder Dolly is easier to set and release than a two strap system. Slide the one strap under the item. Release/Unloading: It is much easier to exit a load/unload with a One Strap system. To release, you turn the metal buckle horizontally and the webbing will release from its locked position. Conclusion: Using one strap allows for better weight control, and easy of set up and release. The Shoulder Dolly has 3 separate pieces; 2 harnesses and one moving strap. The strap is the only item that touches the object being moved. 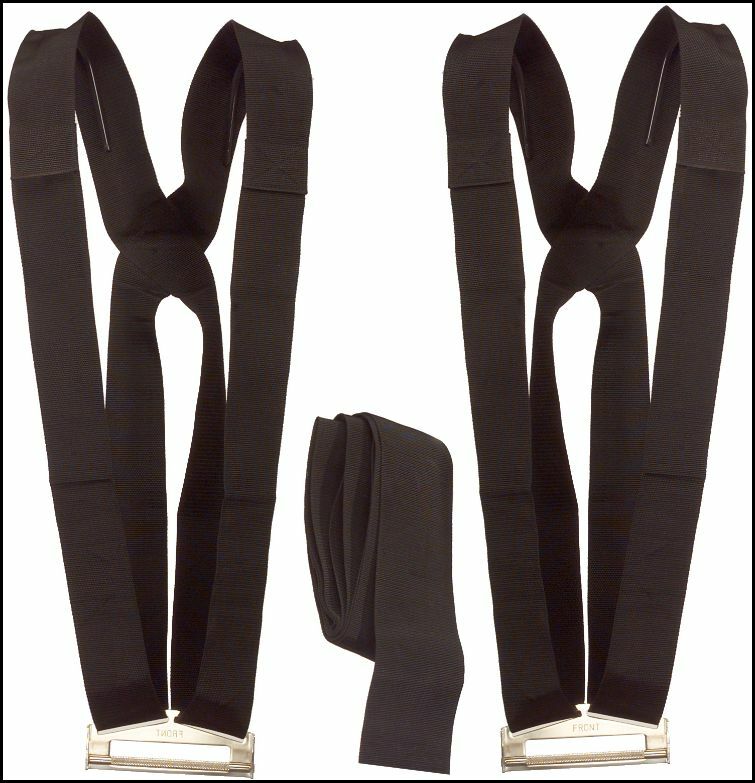 The carrying strap can be purchased as a replacement part. Other products require you to purchase the entire product again. Should any of the items start to show wear due to usage (or get lost), the customer is able to replace any of the items individually. You can buy the Shoulder Dolly from us through our Square Store or click on the PayPal, "Add-to-Cart" button below.